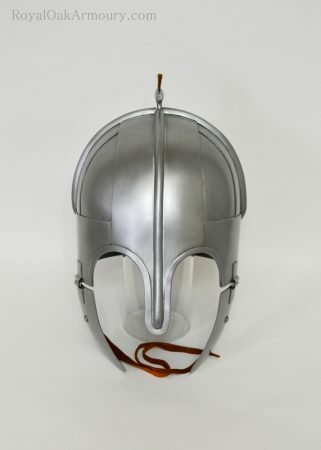 This helmet is based on the Anglo-Saxon grave find from Wollaston, also known as the “Pioneer helmet.” It holds many features in common with its better-known contemporary from Coppergate – a deep skull, wide-banded spangenhelm construction, reinforcing cross braces, nasal and cheek pieces. 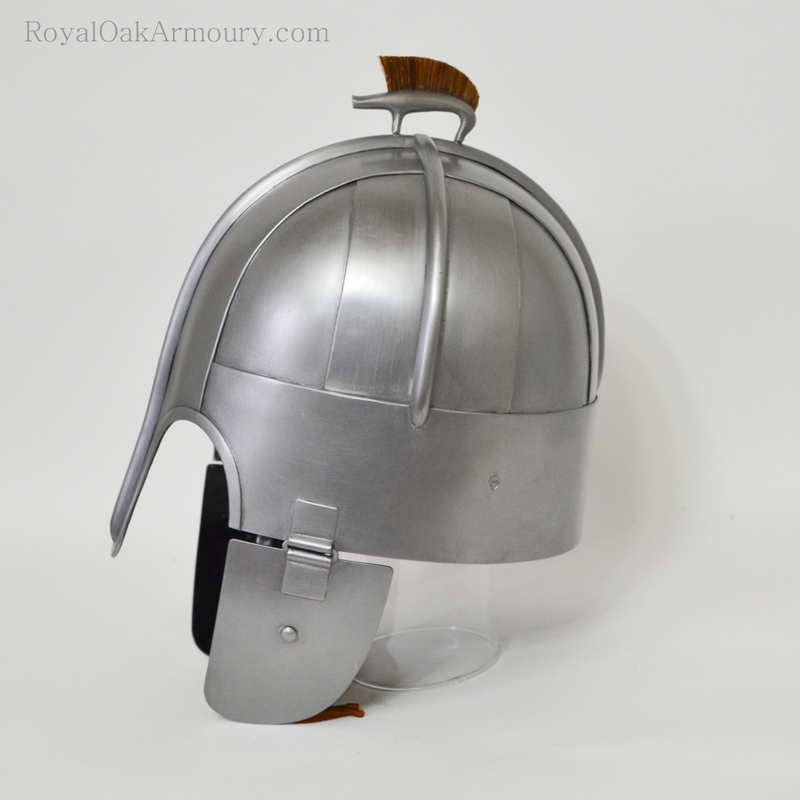 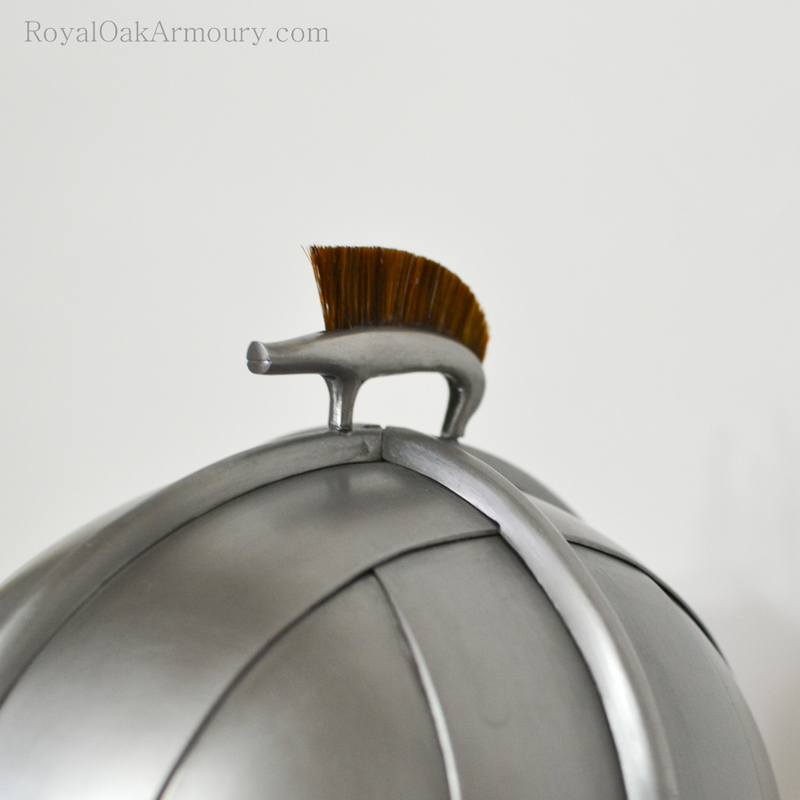 Echoing descriptions from the epic poem, Beowulf, the helmet sports a boar crest. While no trace of the original boar’s ridge remains, we have completed the depiction with a crest of bristles. 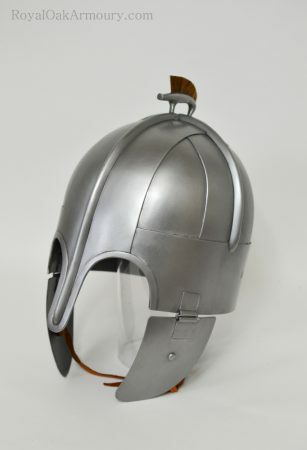 As no evidence exists for integrated linings in Anglo-Saxon helmets, this helmet is not provided with any unless specifically requested. 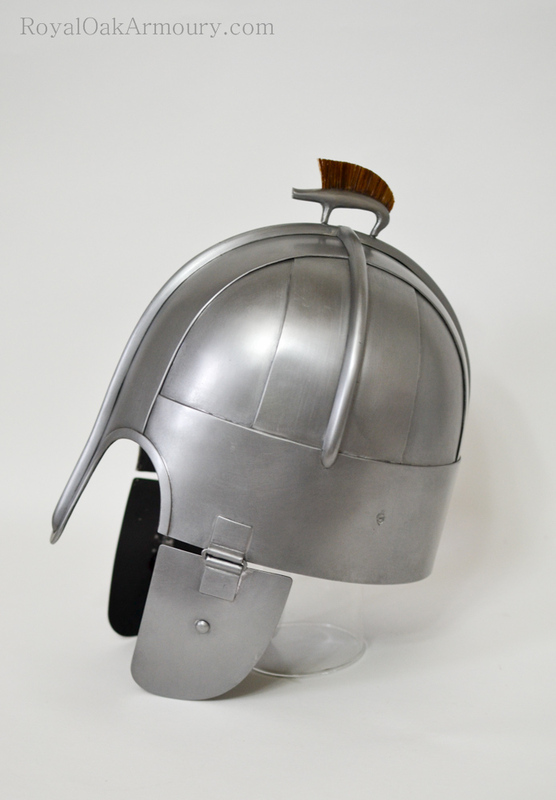 Other options for surface finish are also possible.